"archive.org" redirects here. For arXiv.org, see arXiv. The Internet Archive is a San Francisco–based nonprofit digital library with the stated mission of "universal access to all knowledge". It provides free public access to collections of digitized materials, including web sites, software applications/games, music, movies/videos, moving images, and nearly three million public-domain books. As of May 2014, its collection topped 15 petabytes. In addition to its archiving function, the Archive is an activist organization, advocating for a free and open Internet. Founded by Brewster Kahle in May 1996, the Archive is a 501(c)(3) nonprofit operating in the United States. It has an annual budget of $10 million, derived from a variety of sources: revenue from its Web crawling services, various partnerships, grants, donations, and the Kahle-Austin Foundation. 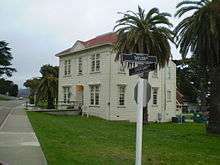 Its headquarters are in San Francisco, California, where about 30 of its 200 employees work. Most of its staff work in its book-scanning centers. The Archive has data centers in three Californian cities, San Francisco, Redwood City, and Richmond. To prevent losing the data in case of e.g. a natural disaster, the Archive attempts to create copies of (parts of) the collection at more distant locations, currently including the Bibliotheca Alexandrina in Egypt and a facility in Amsterdam. The Archive is a member of the International Internet Preservation Consortium and was officially designated as a library by the State of California in 2007. Brewster Kahle founded the Archive in 1996 at around the same time that he began the for-profit web crawling company Alexa Internet. In October 1996, the Internet Archive had begun to archive and preserve the World Wide Web. The archived content wasn't available to the general public until 2001, when it developed the Wayback Machine. In late 1999, the Archive expanded its collections beyond the Web archive, beginning with the Prelinger Archives. Now the Internet Archive includes texts, audio, moving images, and software. It hosts a number of other projects: the NASA Images Archive, the contract crawling service Archive-It, and the wiki-editable library catalog and book information site Open Library. Soon after that, the Archive began working to provide specialized services relating to the information access needs of the print-disabled; publicly accessible books were made available in a protected Digital Accessible Information System (DAISY) format. In August 2012, the Archive announced that it has added BitTorrent to its file download options for over 1.3 million existing files, and all newly uploaded files. This method is the fastest means of downloading media from the Archive, as files are served from two Archive data centers, in addition to other torrent clients which have downloaded and continue to serve the files. On November 6, 2013, the Internet Archive's headquarters in San Francisco's Richmond District caught fire, destroying equipment and damaging some nearby apartments. According to the Archive, it lost: a side-building housing one of 30 of its scanning centers; cameras, lights, and scanning equipment worth hundreds of thousands of dollars; and "maybe 20 boxes of books and film, some irreplaceable, most already digitized, and some replaceable". The nonprofit Archive sought donations to cover the estimated $600,000 in damage. In November, Kahle announced that the Internet Archive was building the Internet Archive of Canada, a copy of the archive to be based somewhere in the country of Canada. The announcement received widespread coverage due to the implication that the decision to build a backup archive in a foreign country was because of the upcoming presidency of Donald Trump. Kahle was quoted as saying that "on November 9th in America, we woke up to a new administration promising radical change. It was a firm reminder that institutions like ours, built for the long-term, need to design for change. For us, it means keeping our cultural materials safe, private and perpetually accessible. It means preparing for a Web that may face greater restrictions. It means serving patrons in a world in which government surveillance is not going away; indeed it looks like it will increase. Throughout history, libraries have fought against terrible violations of privacy—where people have been rounded up simply for what they read. At the Internet Archive, we are fighting to protect our readers’ privacy in the digital world." The Internet Archive has capitalized on the popular use of the term "WABAC Machine" from a segment of the old Rocky and Bullwinkle cartoon, and uses the name "Wayback Machine" for its service that allows archives of the World Wide Web to be searched and accessed. This service allows users to view archived web pages. The Wayback Machine was created as a joint effort between Alexa Internet and the Internet Archive when a three-dimensional index was built to allow for the browsing of archived web content. Millions of web sites and their associated data (images, source code, documents, etc.) are saved in a database. The service can be used to see what previous versions of web sites used to look like, to grab original source code from web sites that may no longer be directly available, or to visit web sites that no longer even exist. Not all web sites are available because many web site owners choose to exclude their sites. As with all sites based on data from web crawlers, the Internet Archive misses large areas of the web for a variety of other reasons. A 2004 paper found international biases in the coverage, but deemed them "not intentional". The use of the term "Wayback Machine" in the context of the Internet Archive has become so common that "Wayback Machine" and "Internet Archive" are almost synonymous. This usage occurs in popular culture, e.g., in the television show Law and Order: Criminal Intent ("Legacy", first run August 3, 2008), an extra playing a computer tech uses the "Wayback Machine" to find an archive of a student's Facebook style web site. Snapshots used to take at least 6–18 months to be added, but now sites can be added in realtime by request by scrolling down the results page. A "Save Page Now" archiving feature was made available in October 2013, accessible on the lower right of the Wayback Machine's main page. Once a target URL is entered and saved, if the target web site permits access via robots.txt, the web page will become part of the Wayback Machine. Created in early 2006, Archive-It is a web archiving subscription service that allows institutions and individuals to build and preserve collections of digital content and create digital archives. Archive-It allows the user to customize their capture or exclusion of web content they want to preserve for cultural heritage reasons. Through a web application, Archive-It partners can harvest, catalog, manage, browse, search and view their archived collections. In terms of accessibility, the archived web sites are full text searchable within seven days of capture. Content collected through Archive-It is captured and stored as a WARC file. A primary and back-up copy is stored at the Internet Archive data centers. A copy of the WARC file can be given to subscribing partner institutions for geo-redundant preservation and storage purposes to their best practice standards. The data captured through Archive-It is periodically indexed into the Internet Archive's general archive. As of March 2014, Archive-It had over 275 partner institutions in 46 U.S. states and 16 countries that have captured over 7.4 billion URLs for over 2,444 public collections. Archive-It partners are universities and college libraries, state archives, federal institutions, museums, law libraries and cultural organizations, including the Electronic Literature Organization, North Carolina State Archives and Library, Stanford University, Columbia University, American University in Cairo, Georgetown Law Library and many others. The Internet Archive Text Archive collection includes digitized books and special collections from various libraries and cultural heritage institutions from around the world. The Internet Archive operates 33 scanning centers in five countries, digitizing about 1,000 books a day for a total of over 2 million books, financially supported by libraries and foundations. As of July 2013, the collection included 4.4 million books with over 15 million downloads per month. As of November 2008, when there were about 1 million texts, the entire collection was over 0.5 petabytes, which includes raw camera images, cropped and skewed images, PDFs, and raw OCR data. Between about 2006 and 2008 Microsoft Corporation had a special relationship with Internet Archive texts through its Live Search Books project, scanning over 300,000 books which were contributed to the collection, as well as financial support and scanning equipment. On May 23, 2008, Microsoft announced it would be ending the Live Book Search project and no longer scanning books. Microsoft made its scanned books available without contractual restriction and donated its scanning equipment to its former partners. Around October 2007, Archive users began uploading public domain books from Google Book Search. As of November 2013 there were over 900,000 Google-digitized books in the Archive's collection: the books are identical to the copies found on Google, except without the Google watermarks, and are available for unrestricted use and download. Brewster Kahle revealed in 2013 that this archival effort was coordinated by Aaron Swartz, who with a "bunch of friends" downloaded the public domain books from Google slow enough and from enough computers to stay within Google's restrictions. They did this to ensure public access to the public domain. The Archive ensured the items were attributed and linked back to Google, which never complained, while libraries "grumbled". According to Kahle, this is an example of Swartz's "genius" to work on what could give the most to the public good for millions of people. Besides books, the Archive offers free and anonymous public access to more than four million court opinions, legal briefs, or exhibits uploaded from the United States Federal Courts' PACER electronic document system via the RECAP web browser plugin. All of these documents are in the public domain, but had been kept from the public behind a federal court paywall. On the Archive, they had been accessed by over 6 million people by 2013. The Open Library is another project of the Internet Archive. The wiki seeks to include a web page for every book ever published: it holds 25 million catalog records of editions. 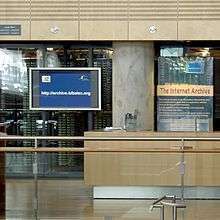 It also seeks to be a web-accessible public library: it contains the full texts of about 1,600,000 public domain books (out of the over five million from the main texts collection), which are fully readable, downloadable and full-text searchable; it offers access to an e-book lending program for over 250,000 recent books not in the public domain, in partnership with over 1,000 library partners from 6 countries after a free registration on the web site. Open Library is a free/open source software project, with its source code freely available on GitHub. The Internet Archive Lending Library is a digital library of ebooks at archive.org. This system was introduced in 2010 to lend digital books over the Internet - both those in copyright and those out of copyright - using Adobe Content Server, which uses digital rights management to ensure only one person can see a particular book at one time. As of June 18, 2014, this collection contained over 12,000 items. The Audio Archive includes music, audio books, news broadcasts, old time radio shows and a wide variety of other audio files. There are over 200,000 free digital recordings in the collection. The subcollections include audio books and poetry, podcasts, non-English audio and many others. The Live Music Archive sub-collection includes over 100,000 concert recordings from independent artists, as well as more established artists and musical ensembles with permissive rules about recording their concerts such as the Grateful Dead, and more recently, The Smashing Pumpkins. Also, Jordan Zevon has allowed Internet Archive to host a definitive collection of his father Warren Zevon concert recordings. The catalog ranges from 1976–2001 and contains 1,137 free songs. This collection contains about 3,000 items from Brooklyn Museum. This collection contains over 880,000 items. Cover Art Archive, Metropolitan Museum of Art - Gallery Images, NASA Images, Occupy Wall Street Flickr Archive, and USGS Maps and are some sub-collections of Image collection. The Cover Art Archive is a joint project between the Internet Archive and MusicBrainz, whose goal is to make cover art images on the Internet. This collection contains over 330,000 items. The images of this collection are from the Metropolitan Museum of Art. This collection contains over 140,000 items. This collection contains creative commons licensed photographs from Flickr related to the Occupy Wall Street Movement. This collection contains over 15,000 items. This collection contains over 59,000 items from Libre Map Project. One of the sub-collections of the Internet Archive's Video Archive is the Machinima Archive. This small section hosts many Machinima videos (see Machinima: Virtual Filmmaking). Machinima is a digital artform in which computer games, game engines or software engine are used in a sandbox mode like mode to create motion pictures, recreate plays or even publish presentations/keynotes. The archive collects a range of Machinima films from internet publishers such as Rooster Teeth and Machinima.com as well as independent producers. The sub collection is a collaborative effort between the Internet Archive, the How They Got Game research project at Stanford University, the Acdemy of Machinima Arts and Sciences and Machinima.com. This collection contains about 160,000 items. The books in this collection are from a variety of libraries including the University of Chicago Libraries, the University of Illinois at Urbana-Champaign, the University of Alberta, Allen County Public Library, and the National Technical Information Service. The Internet Archive holds a collection of approximately 3,863 feature films. Additionally, the Internet Archive's Moving Image collection includes: newsreels, classic cartoons, pro- and anti-war propaganda, The Video Cellar Collection, Skip Elsheimer's "A.V. Geeks" collection, early television, and ephemeral material from Prelinger Archives, such as advertising, educational, and industrial films and amateur and home movie collections. IA's September 11th Television Archive, which contains archival footage from the world's major television networks of the terrorist attacks of September 11, 2001, as they unfolded on live television. The Archive has a collection of freely distributable music that is streamed and available for download via its Netlabels service. The music in this collection generally have Creative Commons-license catalogs of virtual record labels. Open Educational Resources is a digital collection at archive.org. This collection contains hundreds of free courses, video lectures, and supplemental materials from universities in the United States and China. The contributors of this collection are ArsDigita University, Hewlett Foundation, MIT, Monterey Institute and Naropa University. In September 2012, the Internet Archive launched the TV News Search & Borrow service for searching U.S. national news programs. The service is built on closed captioning transcripts and allows user to search and stream 30-second video clips. Upon launch, the service contained "350,000 news programs collected over 3 years from national U.S. networks and stations in San Francisco and Washington D.C." According to Kahle, the service was inspired by the Vanderbilt Television News Archive, a similar library of televised network news programs. In contrast to Vanderbilt, which limits access to streaming video to individuals associated with subscribing colleges and universities, the TV News Search & Borrow allows open access to its streaming video clips. In 2013, the Archive received an additional donation of "approximately 40,000 well-organized tapes," from the estate of a Philadelphia woman, Marion Stokes. Stokes "had recorded more than 35 years of TV news in Philadelphia and Boston with her VHS and Betamax machines." The Internet Archive has "the largest collection of historical software online in the world", spanning 50 years of computer history in terabytes of computer magazines and journals, books, shareware discs, FTP web sites, video games, etc. The Internet Archive has created an archive of what it describes as "vintage software", as a way to preserve them. The project advocated for an exemption from the United States Digital Millennium Copyright Act to permit them to bypass copy protection, which was approved in 2003 for a period of three years. The Archive does not offer the software for download, as the exemption is solely "for the purpose of preservation or archival reproduction of published digital works by a library or archive." 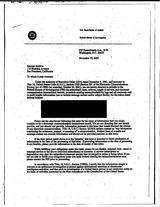 The exemption was renewed in 2006, and in 2009 was indefinitely extended pending further rulemakings. The Library reiterated the exemption, as a "Final Rule" with no expiration date, in 2010. In 2013, the Internet Archive began to provide abandonware video games browser-playable via MESS, for instance the Atari 2600 game E.T. the Extra-Terrestrial. Since 23 December 2014, the Internet Archive presents via a browser based DOSBox emulation thousands of DOS/PC games for "scholarship and research purposes only". On August 17, 2011, Middle East Media Research Institute published "Al-Qaeda, Jihadis Infest the San Francisco, California-Based 'Internet Archive' Library", which detailed how members can post anonymously and enjoy free uncensored hosting. In a story at his Web site, titled "What the heck is going on at Internet Archive? ", author Steven Saylor noted: "Sometime in 2012, the entire run of Omni magazine was uploaded (and made available for download) at Internet Archive...Since those old issues must contain hundreds of works still under copyright by numerous contributors, how is this legal?" At least one contributor to the magazine, author Steve Perry, has publicly complained that he never gave permission for his work to be uploaded ("they didn't say a word in my direction"), and it has been noted that all issues containing the work of Harlan Ellison have apparently been taken down. Glenn Fleishman, investigating the question "Who Owns Omni? ", writes that "Almost all of the authors, photographers, and artists whose work appeared in the magazine had signed contracts that granted only short-term rights....[No one] could simply reprint or post the content from older issues." The Internet Archive blacked out its web site for 12 hours on January 18, 2012, in protest of the Stop Online Piracy Act and the PROTECT IP Act bills, two pieces of pending legislation in the United States Congress that they claim will "negatively affect the ecosystem of web publishing that led to the emergence of the Internet Archive". This occurred in conjunction with the English Wikipedia blackout, as well as numerous other protests across the Internet. In February 2016, Internet Archive had begun archiving digital copies of Nintendo Power, Nintendo's official magazine for their games and products, which ran from 1988 to 2012. The first 140 issues had been collected, before Nintendo had the archive removed on August 8, 2016. In response to the takedown, Nintendo told gaming website Polygon "[Nintendo] must protect our own characters, trademarks and other content... The unapproved use of Nintendo's intellectual property can weaken our ability to protect and preserve it, or to possibly use it for new projects,"
The Great Room of the Internet Archive features a collection of over 100 ceramic figures representing employees of the Internet Archive. This collection, commissioned by Brewster Kahle and sculpted by Nuala Creed, is ongoing. This is a list of some digitizing sponsors for ebooks in the Internet Archive. ↑ "Archive.org WHOIS, DNS, & Domain Info - DomainTools". WHOIS. Retrieved 2016-03-13. ↑ "Archive.org Site Info". Alexa Internet. Retrieved 18 October 2016. ↑ "Internet Archive: Projects". Internet Archive. Retrieved March 6, 2013. ↑ Grotke, A. (December 2011). "Web Archiving at the Library of Congress". Computers In Libraries, v.31 n.10, pp. 15–19. Information Today. ↑ "Brewster Kahle . In Scientific American". Internet Archive. 1997-11-04. Archived from the original on October 11, 1997. Retrieved 2016-04-01. ↑ "Internet Archive: In the Collections". Wayback Machine. 2000-06-06. Archived from the original on June 6, 2000. Retrieved 2016-03-15. ↑ "Internet Archive Frequently Asked Questions". archive.org. Retrieved 2015-07-07. 1 2 Ernesto (August 7, 2012). "Internet Archive Starts Seeding 1,398,875 Torrents". TorrentFreak. ↑ "Hot List for bt1.us.archive.org (Updated August 7 2012, 7:31 pm PDT)". US Cluster. Internet Archive. ↑ Shu, Catherine (November 6, 2013). "Internet Archive Seeking Donations To Rebuild Its Fire-Damaged Scanning Center". TechCrunch. 1 2 Kahle, Brewster (November 29, 2016). "Help Us Keep the Archive Free, Accessible, and Reader Private". Internet Archive. Retrieved December 2, 2016. ↑ Johnson, Tim (December 1, 2016). "Donald Trump scares Internet Archive into moving to Canada". McClatchy DC. Retrieved December 2, 2016. ↑ Rothschild, Mike (December 2, 2016). "The Internet Archive Is Moving to Canada to Protect Itself from Trump". Attn:. Retrieved December 2, 2016. ↑ Green, Heather (February 28, 2002). "A Library as Big as the World". Business Week Online. ↑ "Internet Archive. (2012). Frequently Asked Questions". Internet Archive. Retrieved April 13, 2013. ↑ Thelwall, Mike; Vaughan, Liwen (Spring 2004). "A fair history of the Web? Examining country balance in the Internet Archive" (PDF). Library & Information Science Research. 26 (2): 162–176. doi:10.1016/j.lisr.2003.12.009. 1 2 Rossi, Alexis (October 25, 2013). "Fixing Broken Links on the Internet". Internet Archive. Retrieved December 29, 2013. ↑ "Wayback Machine main page". Internet Archive. Retrieved December 30, 2013. ↑ "Wayback Machine Hits 400,000,000,000!". Internet Archive. Retrieved September 1, 2014. ↑ "archive-it.org". archive-it.org. Retrieved April 13, 2013. ↑ "What is the Difference between the General Archive (sometimes called the Wayback Machine) and Archive-It?". Archive-It How to FAQ. Archive-It. – via Jira.com. ↑ "About Archive-It". Archive-It. Retrieved March 3, 2014. 1 2 3 Hoffelder, Nate (July 9, 2013). "Internet Archive Now Hosts 4.4 Million eBooks, Sees 15 Million eBooks Downloaded Each Month". The Digital Reader. ↑ "Bulk Access to OCR for 1 Million Books". Open Library Blog. November 24, 2008. 1 2 "Book search winding down". MSDN Live Search Blog. May 23, 2008. Archived from the original on 2008-08-20. ↑ "List of Google scans" (search). Internet Archive. 1 2 Brewster Kahle, Aaron Swartz memorial at the Internet Archive, 2013-01-24, via well-prepared mind, via S.I.Lex. ↑ "Internet Archive Search : mediatype:texts". Internet Archive. Retrieved November 27, 2015. ↑ "Internet Archive Search : (language:eng OR language:"English")". Internet Archive. Retrieved November 27, 2015. ↑ "Internet Archive Search : (language:fre OR language:"French")". Internet Archive. Retrieved November 27, 2015. ↑ "Internet Archive Search : (language:ger OR language:"German")". Internet Archive. Retrieved November 27, 2015. ↑ "Internet Archive Search : (language:spa OR language:"Spanish")". Internet Archive. Retrieved November 27, 2015. ↑ "Internet Archive Search : (language:Chinese OR language:"chi") AND mediatype:texts". Internet Archive. Retrieved November 27, 2015. ↑ "Internet Archive Search : (language:ara OR language:"Arabic")". Internet Archive. Retrieved November 27, 2015. ↑ "Internet Archive Search : (language:Dutch OR language:"dut") AND mediatype:texts". Internet Archive. Retrieved November 27, 2015. ↑ "Internet Archive Search : (language:Portuguese OR language:"por") AND mediatype:texts". Internet Archive. Retrieved November 27, 2015. ↑ "Internet Archive Search : (language:rus OR language:"Russian") AND mediatype:texts". Internet Archive. Retrieved November 27, 2015. ↑ "Internet Archive Search : (language:urd OR language:"Urdu") AND mediatype:texts". Internet Archive. Retrieved November 27, 2015. ↑ "Internet Archive Search : (language:Japanese OR language:"jpn") AND mediatype:texts". Internet Archive. Retrieved November 27, 2015. ↑ "Internet Archive Search : mediatype:texts AND date:[1800-01-01 TO 1809-12-31]". Internet Archive. Retrieved November 27, 2015. ↑ "Internet Archive Search : mediatype:texts AND date:[1810-01-01 TO 1819-12-31]". Internet Archive. Retrieved November 27, 2015. ↑ "Internet Archive Search : mediatype:texts AND date:[1820-01-01 TO 1829-12-31]". Internet Archive. Retrieved November 27, 2015. ↑ "Internet Archive Search : mediatype:texts AND date:[1830-01-01 TO 1839-12-31]". Internet Archive. Retrieved November 27, 2015. ↑ "Internet Archive Search : mediatype:texts AND date:[1840-01-01 TO 1849-12-31]". Internet Archive. Retrieved November 27, 2015. ↑ "Internet Archive Search : mediatype:texts AND date:[1850-01-01 TO 1859-12-31]". Internet Archive. Retrieved November 27, 2015. ↑ "Internet Archive Search : mediatype:texts AND date:[1860-01-01 TO 1869-12-31]". Internet Archive. Retrieved November 27, 2015. ↑ "Internet Archive Search : mediatype:texts AND date:[1870-01-01 TO 1879-12-31]". Internet Archive. Retrieved November 27, 2015. ↑ "Internet Archive Search : mediatype:texts AND date:[1880-01-01 TO 1889-12-31]". Internet Archive. Retrieved November 27, 2015. ↑ "Internet Archive Search : mediatype:texts AND date:[1890-01-01 TO 1899-12-31]". Internet Archive. Retrieved November 27, 2015. ↑ "Internet Archive Search : mediatype:texts AND date:[1900-01-01 TO 1909-12-31]". Internet Archive. Retrieved November 27, 2015. ↑ "Internet Archive Search : mediatype:texts AND date:[1910-01-01 TO 1919-12-31]". Internet Archive. Retrieved November 27, 2015. ↑ "Internet Archive Search : mediatype:texts AND date:[1920-01-01 TO 1929-12-31]". Internet Archive. Retrieved November 27, 2015. ↑ "Internet Archive Search : mediatype:texts AND date:[1930-01-01 TO 1939-12-31]". Internet Archive. Retrieved November 27, 2015. ↑ "Internet Archive Search : mediatype:texts AND date:[1940-01-01 TO 1949-12-31]". Internet Archive. Retrieved November 27, 2015. ↑ "Internet Archive Search : mediatype:texts AND date:[1950-01-01 TO 1959-12-31]". Internet Archive. Retrieved November 27, 2015. ↑ "Internet Archive Search : mediatype:texts AND date:[1960-01-01 TO 1969-12-31]". Internet Archive. Retrieved November 27, 2015. ↑ "Internet Archive Search : mediatype:texts AND date:[1970-01-01 TO 1979-12-31]". Internet Archive. Retrieved November 27, 2015. ↑ "Internet Archive Search : mediatype:texts AND date:[1980-01-01 TO 1989-12-31]". Internet Archive. Retrieved November 27, 2015. ↑ "Internet Archive Search : mediatype:texts AND date:[1990-01-01 TO 1999-12-31]". Internet Archive. Retrieved November 27, 2015. ↑ "Internet Archive Search : mediatype:texts AND date:[2000-01-01 TO 2009-12-31]". Internet Archive. Retrieved November 27, 2015. ↑ "Internet Archive Search : mediatype:texts AND date:[2010-01-01 TO 2015-11-27]". Internet Archive. Retrieved November 27, 2015. ↑ Gonsalves, Antone (December 20, 2006). "Internet Archive Claims Progress Against Google Library Initiative". InformationWeek. ↑ "Search Inside" (feature). OpenLibrary.org. ↑ Internet Archive (June 25, 2011). "In-Library eBook Lending Program Expands to 1,000 Libraries". Internet Archive Blogs. June 25, 2011. ↑ Fowler, Geoffrey A. (June 29, 2010). "=Libraries Have a Novel Idea: Lenders Join Forces to Let Patrons Check Out Digital Scans of Shelved Book Collections". Wall Street Journal. ↑ "GBS: Internet Archive Starts Lending In-Copyright E-Books". The Laboratorium. June 30, 2010. ↑ "Internet Archive Lending Library : Free Books : Free Texts : Download & Streaming : Internet Archive". Internet Archive. Retrieved June 18, 2014. ↑ "Welcome to Audio Archive". Internet Archive. ↑ Tirpack, Alex (June 3, 2009). "Warren Zevon live shows hit the web, possible film in the works". Rolling Stone. ↑ "Brooklyn Museum: Free Image : Download & Streaming : Internet Archive". Internet Archive. Retrieved December 4, 2014. ↑ "Download & Streaming : Images : Internet Archive". Internet Archive. Retrieved November 4, 2014. ↑ "Cover Art Archive: Free Image : Download & Streaming : Internet Archive". Internet Archive. Retrieved December 4, 2014. ↑ "Metropolitan Museum of Art - Gallery Images: Free Image : Download & Streaming : Internet Archive". Internet Archive. Retrieved December 4, 2014. ↑ "NASA Images" (archive). Internet Archive. Retrieved April 13, 2013. ↑ "Occupy Wall Street Flickr Archive: Free Image : Download & Streaming : Internet Archive". Internet Archive. Retrieved December 4, 2014. ↑ "USGS Maps: Free Image : Download & Streaming : Internet Archive". Internet Archive. Retrieved December 4, 2014. ↑ "Welcome to Machinima". Internet Archive. ↑ "Mathematics - Hamid Naderi Yeganeh (Image): Free Image : Download & Streaming : Internet Archive". Internet Archive. Retrieved December 4, 2014. ↑ "Internet Archive Search: collection:microfilm". Internet Archive. Retrieved March 20, 2014. ↑ "Microfilm". Internet Archive. Retrieved March 20, 2014. ↑ "Internet Archive Search: Collection: Feature Films". Internet Archive. Retrieved March 6, 2013. ↑ "September 11th Television Archive". Internet Archive. ↑ "Welcome to Netlabels". Internet Archive. ↑ "Download & Streaming : Open Educational Resources : Internet Archive". Internet Archive. Retrieved June 17, 2014. ↑ "TV NEWS : Search Captions. Borrow Broadcasts : TV Archive : Internet Archive". Internet Archive. Retrieved April 13, 2013. ↑ Kahle, Brewster (September 17, 2012). "Launch of TV News Search & Borrow with 350,000 Broadcasts". Internet Archive Blogs. ↑ Brownell, Brett; Benjy Hansen-Brandy (2014-05-22). "Meet the People Behind the Wayback Machine, One of Our Favorite Things About the Internet". Mother Jones. Retrieved 2014-06-07. ↑ Scott, Jason. (April 13, 2013). "Change Computer History Forever: Well, Here We Are". Jason Scott's Weblog. ↑ Library of Congress Copyright Office (2010-07-27). "Exemption to Prohibition on Circumvention of Copyright Protection Systems for Access Control Technologies". Federal Register. 75 (143): 43825–43839. ↑ Robertson, Adi (October 25, 2013). "The Internet Archive puts Atari games and obsolete software directly in your browser". The Verge. ↑ Ohlheiser, Abby (2015-01-05). "You can now play nearly 2,400 MS-DOS video games in your browser". Washington Post. Retrieved 2015-01-08. ↑ Graft, Kris (2015-03-05). "Saving video game history begins right now". Gamasutra. Retrieved 2015-03-05. ↑ Leeds, Jeff; Mayshark, Jesse Fox (December 1, 2005). "Wrath of Deadheads stalls a Web crackdown". The New York Times. ↑ Kahle, Brewster; Vernon, Matt (December 1, 2005). "Good News and an Apology: GD on the Internet Archive". Live Music Archive Forum. Internet Archive. Authors and date indicate the first posting in the forum thread. ↑ Broache, Anne (May 7, 2008). "FBI rescinds secret order for Internet Archive records". CNet. ↑ Nakashima, Ellen (May 8, 2008). "FBI Backs Off From Secret Order for Data After Lawsuit". Washington Post. ↑ Stalinsky, Steven (August 17, 2011). "Al-Qaeda, Jihadis Infest the San Francisco, California-Based 'Internet Archive' Library". The Middle East Media Research Institute. ↑ "Archive Page – What's the heck is going on at Internet Archive?". Stevensaylor.com. January 8, 2013. ↑ Fleishman, Glenn (August 2, 2013). "The rebirth of Omni—and its vibe". BoingBoing. ↑ Kahle, Brewster (January 17, 2012). "12 Hours Dark: Internet Archive vs. Censorship". Internet Archive Blogs. ↑ "Open Content Alliance". opencontentalliance.org. Retrieved April 13, 2013. ↑ Frank, Allegra (August 8, 2016). ""Nintendo takes down Nintendo Power collection from Internet Archive after noticing it"". Polygon. ↑ "Internet Archive Search : sponsor:"Yahoo!"". Internet Archive. Retrieved March 1, 2014. ↑ "Internet Archive Search : sponsor:"msn"". Internet Archive. Retrieved March 1, 2014. ↑ "Internet Archive Search : sponsor:"Google"". Internet Archive. Retrieved March 1, 2014. ↑ "Internet Archive Search : sponsor:"Lyrasis Members and Sloan Foundation"". Internet Archive. Retrieved March 1, 2014. ↑ "Internet Archive Search : sponsor:"University of Toronto"". Internet Archive. Retrieved March 1, 2014. ↑ "Internet Archive Search : sponsor:"National Library of Scotland"". Internet Archive. Retrieved March 2, 2014. ↑ "Internet Archive Search : sponsor:"Natural History Museum Library, London"". Internet Archive. Retrieved March 2, 2014. ↑ "Internet Archive Search : sponsor:"University of Alberta Libraries"". Internet Archive. Retrieved March 2, 2014. ↑ "Internet Archive Search : sponsor:"Research Library, The Getty Research Institute"". Internet Archive. Retrieved March 2, 2014. ↑ "Internet Archive Search : sponsor:"Boston Library Consortium"". Internet Archive. Retrieved March 2, 2014. ↑ "Internet Archive Search : sponsor:"The Library of Congress"". Internet Archive. Retrieved March 2, 2014. ↑ "Internet Archive Search : sponsor:"Allen County Public Library"". Internet Archive. Retrieved March 2, 2014. ↑ "Internet Archive Search : sponsor:"Internet Archive" AND mediatype:texts". Internet Archive. Retrieved March 2, 2014. ↑ "Internet Archive Search : sponsor:"Harvard University" AND mediatype:texts". Internet Archive. Retrieved March 2, 2014. ↑ "Internet Archive Search : sponsor:"China-America Digital Academic Library (CADAL)" AND mediatype:texts". Internet Archive. Retrieved March 2, 2014. ↑ "Internet Archive Search : sponsor:"University of Illinois Urbana-Champaign" AND mediatype:texts". Internet Archive. Retrieved March 2, 2014. ↑ "Internet Archive Search : sponsor:"University of North Carolina at Chapel Hill" AND mediatype:texts". Internet Archive. Retrieved March 2, 2014. ↑ "Internet Archive Search : sponsor:"Biodiversity Heritage Library" AND mediatype:texts". Internet Archive. Retrieved March 3, 2014.